Mon., Nov. 20, 2017, 7 p.m.
MISSOULA, Mont. – Bob Stitt is out as Montana’s football coach after three seasons, athletics director Kent Haslam said Monday. Haslam said he will move quickly to hire a new coach and sought to make it clear he hadn’t spoken with any potential candidates, despite any rumors to the contrary. 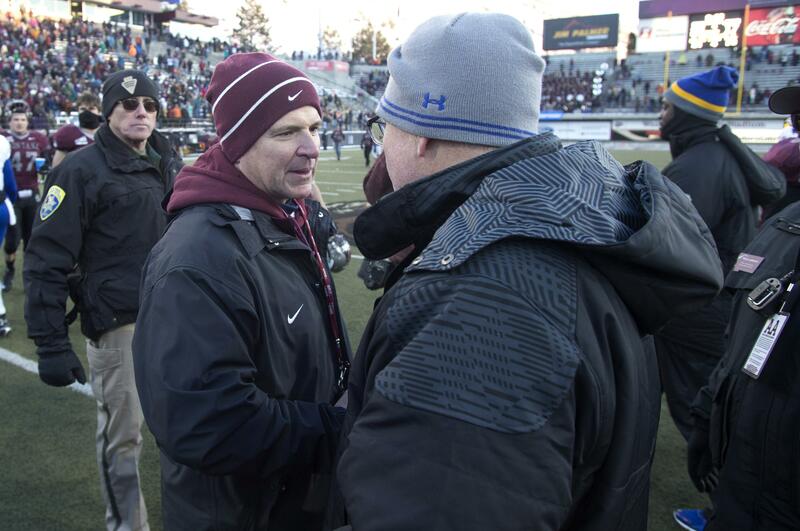 The announcement comes two days after Montana’s second consecutive loss to rival Montana State and after the team missed the playoffs for the second straight year. Stitt’s teams have compiled a 21-14 record in three seasons, including a 7-4 record this season. “One thing I’ve really appreciated about coach Stitt is the culture that he created. This culture of team unity, of respect, of collaboration,” Haslam said. Haslam says he wants to see a coach that will help the Grizzlies regain their toughness and swagger back, who expects to win and who will be an ambassador for the university as well as the football team. “I’m confident we’ll attract a highly qualified coach,” Haslam said. In the southern region, the Big Sky Conference’s Northern Arizona University announced on Monday that Jerome Souers will continue to serve as head football coach. Souers is in his 20th season with the Lumberjacks. NAU also announced that defensive coordinator Andy Thompson, who has been with the Lumberjacks for 13 years, has been promoted to associate head coach. Published: Nov. 20, 2017, 7 p.m.